Today sees the launch of the new make up range from one of my favourite brands ever, Origins! 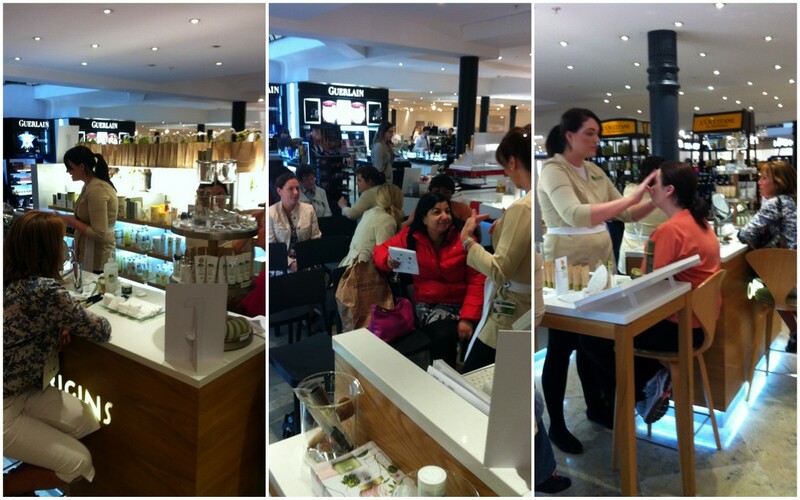 Last night I popped along to their counter in Arnotts Dublin to have a little sneak peek and to have a chat with some of the customers about the Plantscription products. For those that don't already know, last year I was part of a group of ladies to trial out the Plantscription Eye Treatment and you can read all about it here. So the make up, you want to know about that right? Well, after having a skin consultation with my new Very Best Friend Donna Galloway, Regional Education Executive, who gave the best reaction ever (shock) when I disclosed my age, thanks for that Donna, you were a brilliant ego boost, my make up came off and I got to try out the new Plantscription foundation. You can read about it in more detail here. 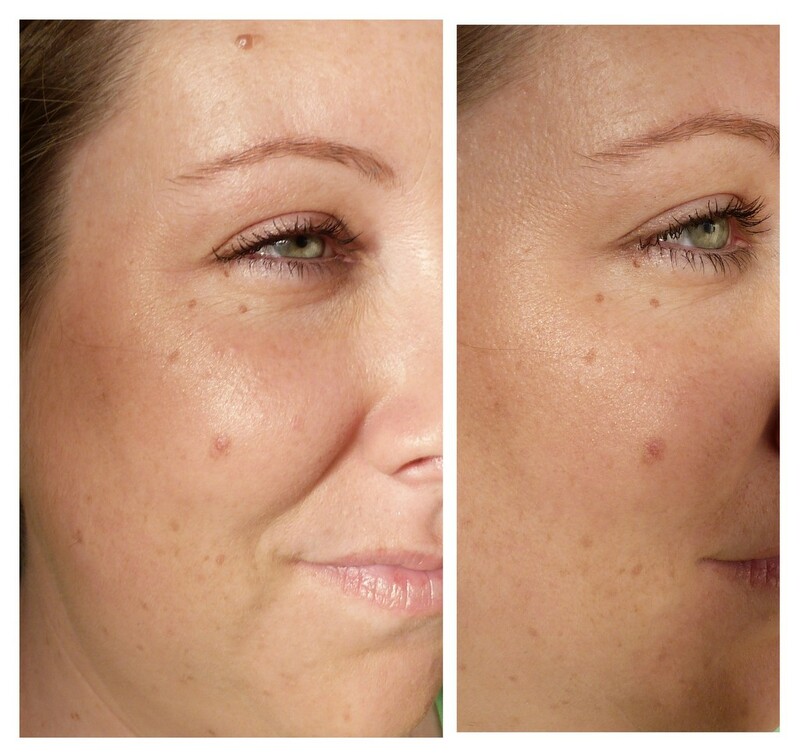 Donna applied the concealer first and then the foundation and both felt lovely and light on the skin. 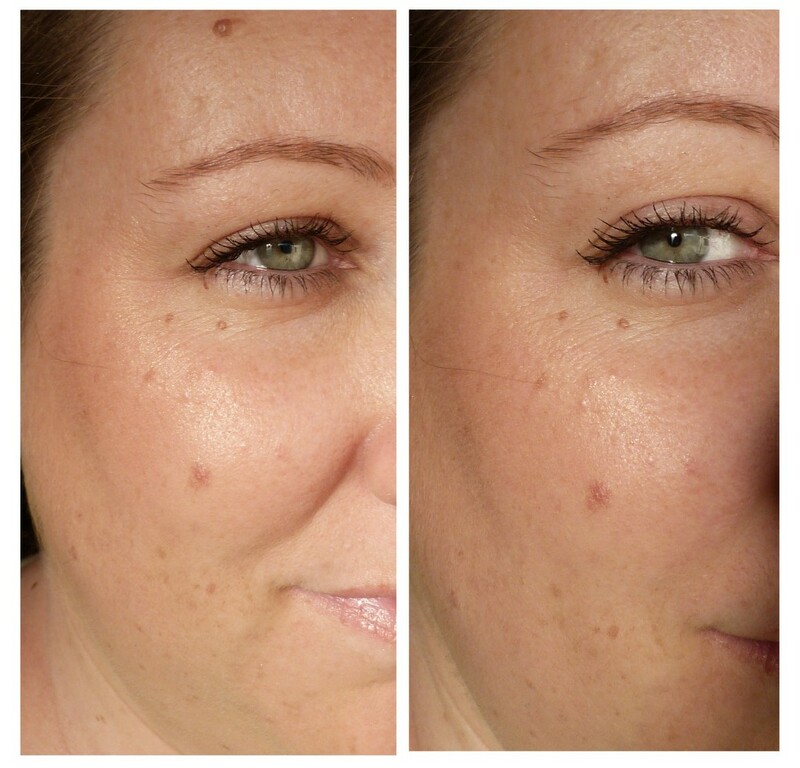 The foundation gives medium to full coverage and is buildable. Now, you hear medium coverage and you think it's going to be thick and heavy on the skin but that's not the case at all. It sat beautifully on my skin and gave my face luminosity and radiance but without looking oily or shiny. This made for a happy Karen! Oh yes, I'm shade 01, the lightest shade and it's perfect for me. 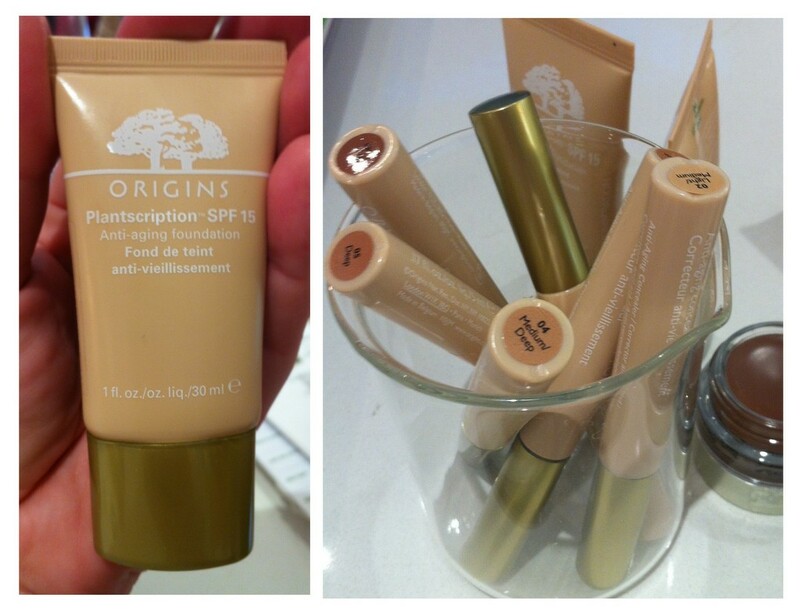 There are eleven shades in the Plantscription foundations and six shades of Plantscription concealers. Along with the foundation and concealer comes ten shades of Ginzing Brightening cream shadows. I fell in love with a purple matte cream shadow called Perkle and we applied it over a wash of a matte cream shadow, Vanilla Vroom. The cream shadows are crease resistant, water resistant and they're so lightweight that I kid you not, I drove home from Arnotts touching my eyelid every so often so see if I could feel any stickiness or tackiness. I very much believe that Perkle will be mine before too long! Origins also have powder shadows for those who are a bit scared of cream shadows. They're called Peeper Pleaser eyeshadows and one of the sales assistants had them on and they were stunning. I had to ask her which ones she was wearing and took a mental note. There's ten shades of the Peeper Pleasers ranging from a light champagne shade to a jet black shadow. Lovely altogether! 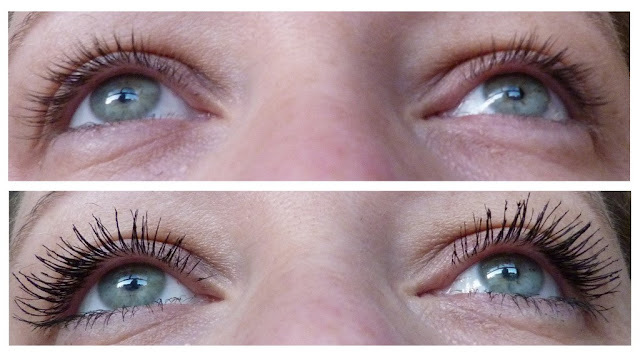 There's a GinZing mascara that has Carnauba Palm to help curl the lashes and although I didn't try this last night, I was very taken by the wand. You know me and wands, I like them big *ahem*. 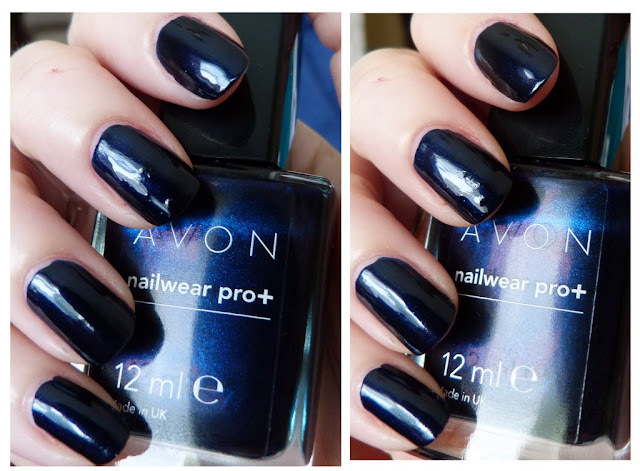 This comes in one shade, black and the packaging is cute and chunky. I like a lot. Oh yeah, back to my face. We mixed two of the blushes together, Tropical Pink and Sunset Peach to create a glowing cheek and I was done and dusted. Apologies for the photos of my mush below, it was taken last night and the sun had well gone down, so light bulb lighting it is! You can get a sense of the glow the foundation gives and the payoff of the cheek colour. Now, let me say that over the past couple of weeks, I've been exhausted and been on the computer a lot. My eyes look tired and the skin under my eyes look a bit crepey. So much so, I've been noticing that the foundations I've been using have been settling in those fine lines, making them look even more pronounced and so I've had to get extra vigilant with the whole eye cream step. The rest of my skin doesn't feel particularly dry or anything so I'm hoping I just need some sleep and time away from the screen. Anyway, the Plantscription foundation didn't highlight those lines and in fact seemed to camouflage them to a point where I kept looking at my skin in different light last night saying "How'd that happen?" Next time you're in Arnotts and pick something up at the Origins counter, make sure you give your details to the sales assistants. They have monthly events and it's a great way of having some one on one time with the ladies, get a skin consultation and there's a raffle at the end of the night with some great Origins products! Thanks so much to the Origins team for letting me be part of this. I'll be talking about it for years to come and will continue to make my way through every product in the range! As I'm all about autumn (more on that next week), this one was the first one to catch my eye. 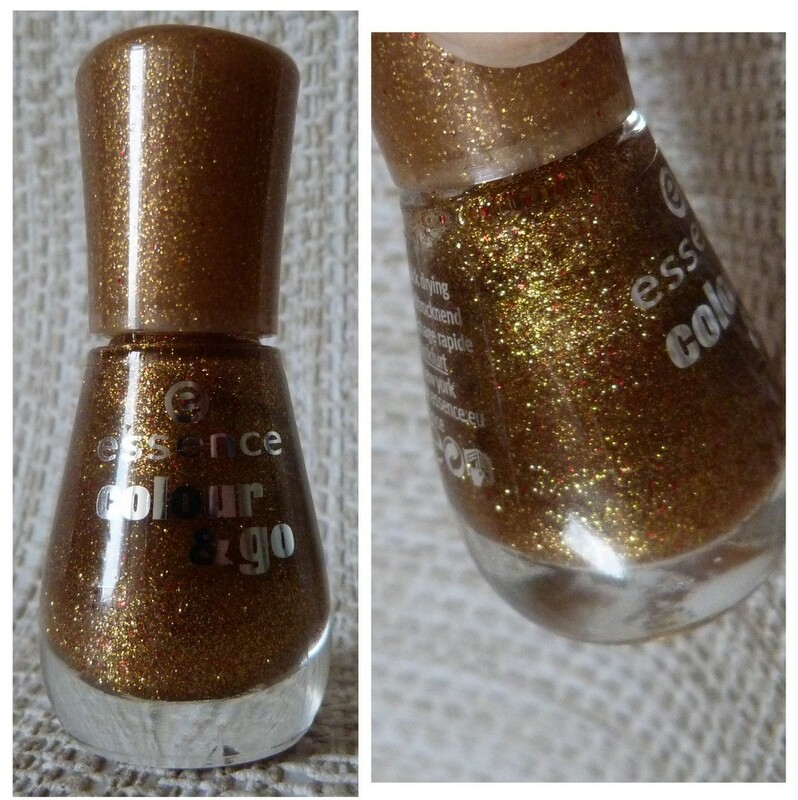 It's called Gorgeous Bling Bling and it's a rich russet colour with flecks of gold running through it. It makes me think of harvests, Thanksgiving and the changing colours of the leaves. This was fired into the basket first. Yes, we got a basket in the chemist. Joanne knows me too well. 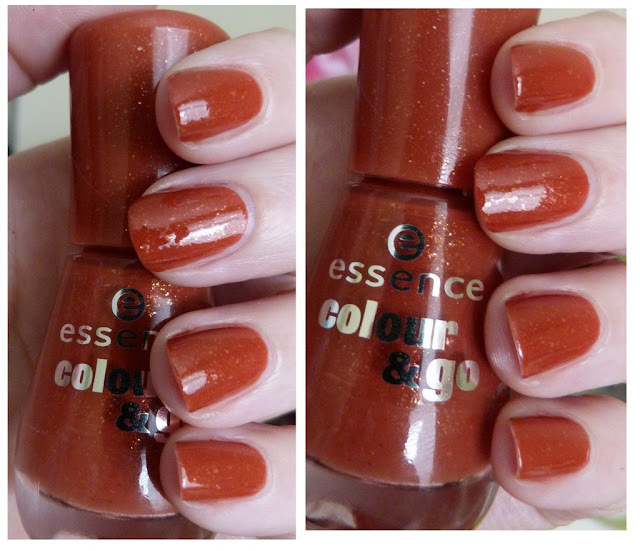 I don't stop at just one polish, especially when it comes to Essence. 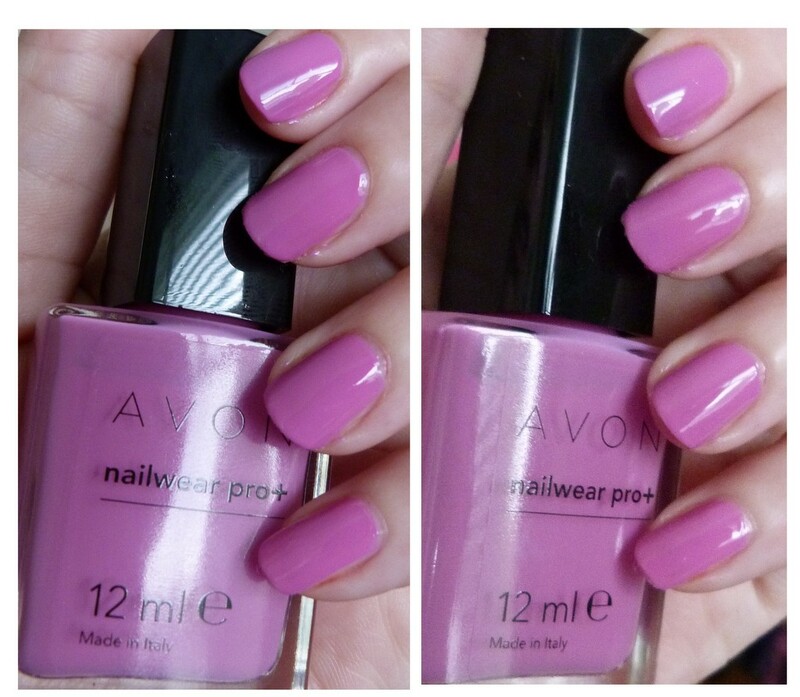 It goes on smoothly and evenly and I used just two coats here for the photos. But I didn't stop there. This next polish, called Gold Fever, is a sparklicious glittery polish that is packed full of gold glitter and the teeniest amount of red glitter. It'd be a good one to have for Christmas manicures. I know, sorry about the C word. I don't think it's polish I'd use on it's own as it's pretty sheer and I'd end up having to use about four coats but look at one coat of it over Gorgeous Bling Bling. 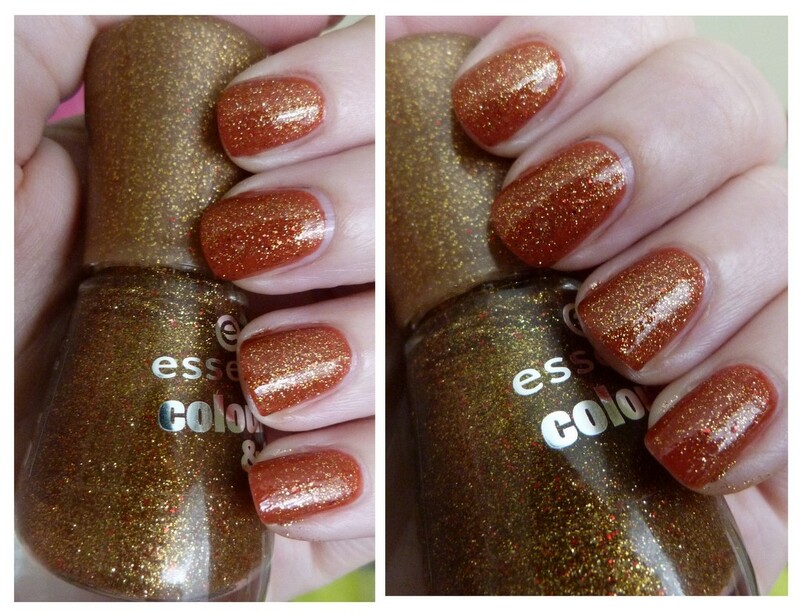 Sparkledy autumnal nails! 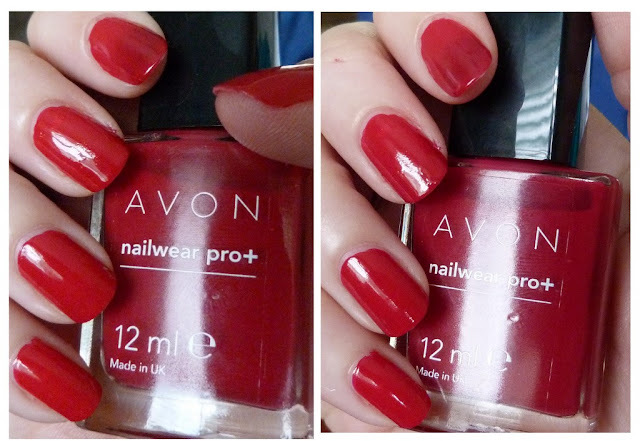 These polishes were a piddly €1.79 from my local chemist and are available from chemist nationwide along with Dunnes and Penneys. We, and when I say we, I mean Joanne, bought six altogether so stay tuned for more stunning shades from budget brand Essence. If your friend asks you what you're putting on your lashes because they look really long, you know you're on to a good thing. 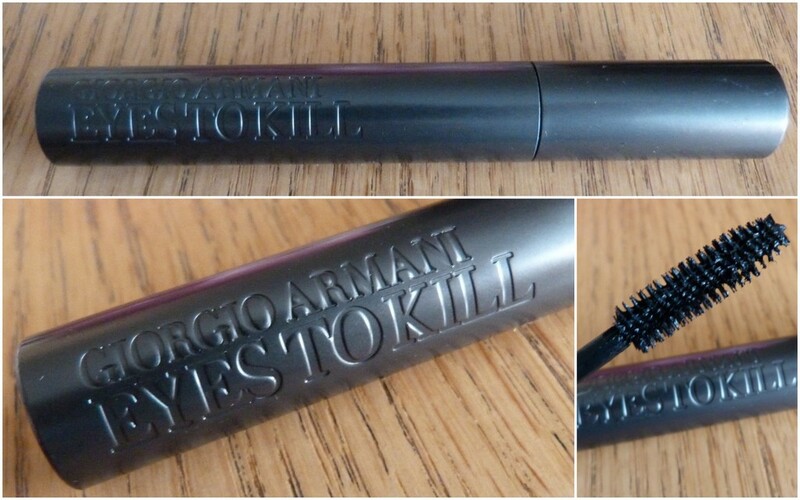 Enter Giorgio Armani Eyes To Kill mascara. One of the heaviest in the packaging department, it feels expensive and the indented name on the tube just adds to that. Wand wise, it's on the smaller, more narrow end of the scale and it feels like it's oblique in shape with more bristles on two opposite sides and flatter on the other two sides. One coat is what I've been wearing since getting it last week and not only does it lift my lashes and separate them, it adds thickness and volume. 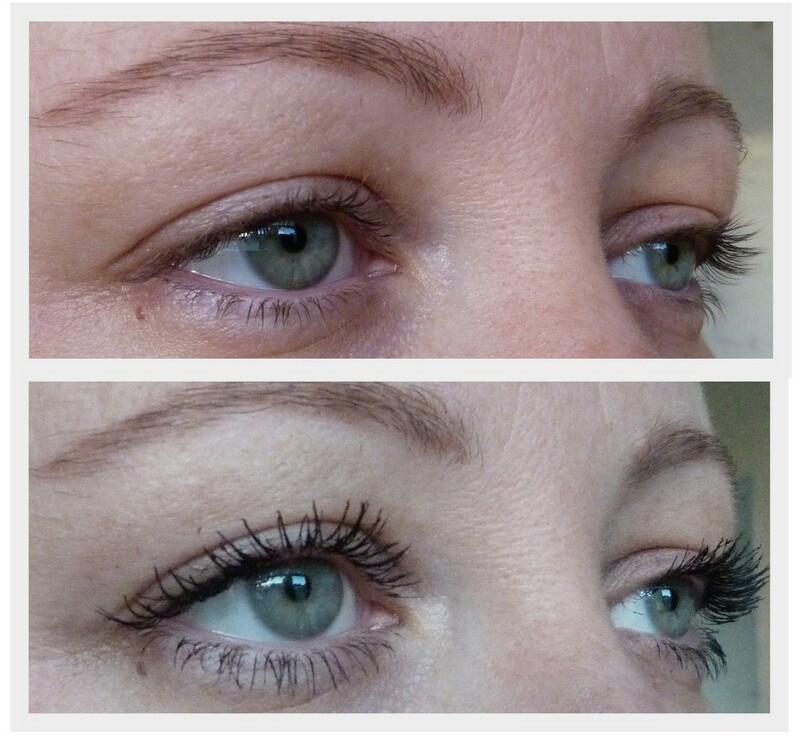 It's one of the thicker formulations I've tried in a while but for that, each lash is coated thickly and completely. It's totally black and after 12 hours of wearing it, it looks exactly the same as first thing that morning. 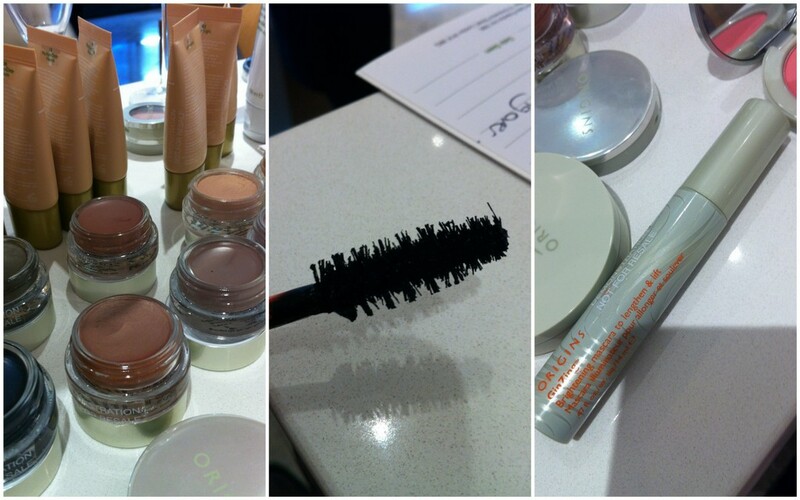 No smudging, no flaking, no hassle. The curl it gives really opens my eyes and makes me look awake even if I'm dead in my eyes! Check out the lift and curl on the right there! It comes off easily with my eye make up remover and you can see on the cotton pad just how much product was on your lashes and how dark it is. I usually need to cleanse each eye with a cotton pad and then go over it again with a fresh one just to make sure I've gotten it all. Not because it won't come off, just because there's so much of it on the pad and I feel like I'm smearing it all over my eyes again! Now ladies. 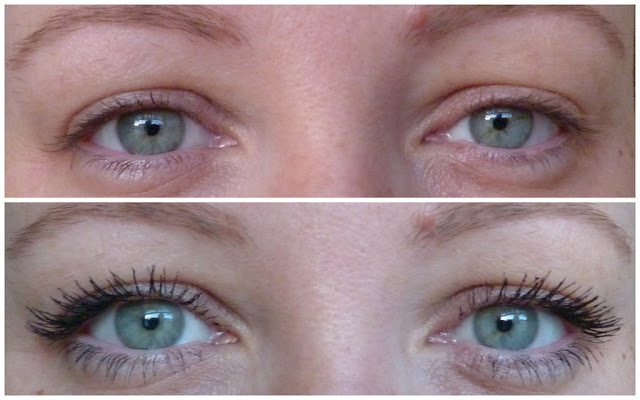 I'm so impressed with this mascara that it's now my favourite. Absolute favourite. I feel like I can wear it on it's own and still look like I've made an effort in the make up department. To say I'm obsessed with shampoos and conditioners would be an understatement. Seriously. I sometimes think I should do a proper What's In My Shower - The Haircare Only Edition post and then I look with a normal person's eyes and think no, you guys would abandon the blog forever. I can't help that there are half empty bottles littering my shower but you know what? It's never going to change so I of course couldn't wait to add a new range to the family! 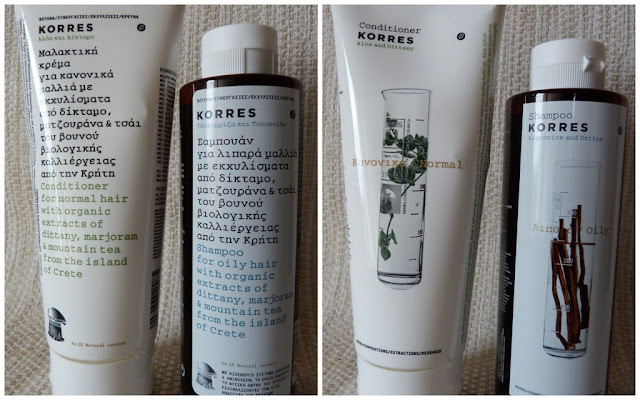 Greek brand Korres have released a new hair care collection and I've been testing out the Liquorice & Urtica Shampoo for oily hair and the Aloe & Dittany Conditioner for normal hair. First up, let me talk about packaging. I've spoken about this before and about my love for shampoo and conditioner bottles that look different. This just makes me happy knowing that I don't have to look at what's what, especially with the Greek language there on the front. Shampoo is in bottle, conditioner is in tube. Sorted. The Liquorice & Urtica shampoo thankfully doesn't smell like liquorice. I've a weird aversion to that scent ever since ten penny bags were the norm and I'd always get four Blackjacks in mine when all I wanted were Fruit Salads. It has an earthy smell that is nice and light and it foams up beautifully. The urtica and liquorice helps regulate sebum production for the oily scalped ladies out there like myself and I will hand on heart say that since using it, I've been able to get away with washing my hair every second day and that's without the use of dry shampoo on the non-washing-my-hair day. The Aloe & Dittany conditioner is lightweight and is very gently scented. I like to squeeze a half a golf ball sized into my hands and spread it throughout the lengths of my hair, leaving it for about 3-5 minutes. Once rinsed, I can feel the difference in my hair and even more so when I go to dry it. My hair doesn't tangle and together with the shampoo, I've shiny, healthy looking hair that has lots of volume at the roots with ends that look like I've had a good chop! Although these were sent to me, I'll definitely be purchasing them myself and will be investigating the rest of the range that include Sunflower & Mountain Tea shampoo, conditioner & hair mask for coloured hair (€11.50 each), Almond & Linseed shampoo, conditioner and hair mask for dry or damaged hair (€11.50 each). My mam is testing out the Laurel & Echinacea shampoo (€11.50) for dandruff and dry scalp so we'll report back on that. The Korres Hair Care line is available in Harvey Nichols Dundrum or www.HarveyNichols.com so go forth and try them out! As much as I love make up, and Lord knows I do, I mean I'm at about 620 posts talking about the stuff, there is time in a beauty lover's life where something leaves one speechless. Or at least utter an audible gasp. Or a breathless "ooooooh". Last weekend was one of those times. 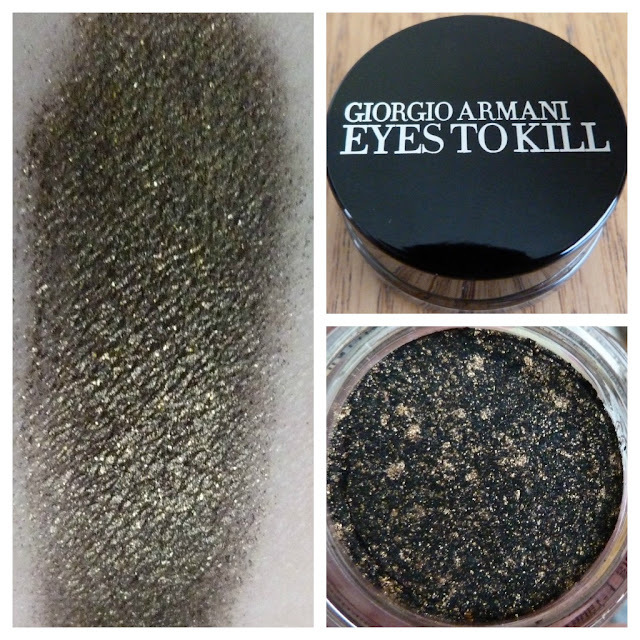 I got this Giorgio Armani Eyes To Kill Intense Eyeshadow last week at the launch of the new Maestro Skin Perfector foundation, but more on that soon. I need to tell you about this immediately. Shade 24. Look at it. One of Armani's hybrid formulations, this black and gold loose powder that is pressed down with a plastic cap is simply stunning. You can see in the swatch above on my hand that it has a slight olive shimmer to it and I couldn't wait to get it on my face. I used a flat shader brush to pat the colour on and there was fall out with it as it's a loose powder. I patted the colour all over the lid and literally the whole time I was doing so, was saying, out loud and in my mind, "Oh yes, oh this is gorgeous, oh wow" and was quite close to recreating That Scene in When Harry Met Sally. 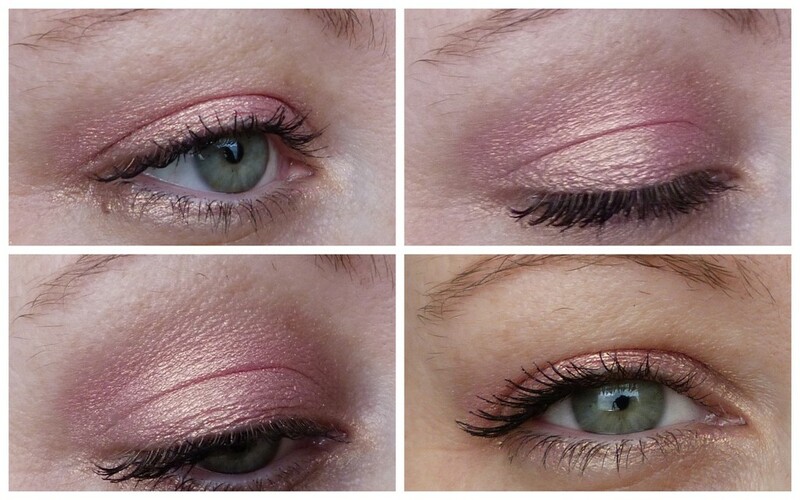 I used a fluffy brush to apply a little to the crease and blended the edges, giving me a quick but gorgeous smokey eye. A little bit under the lower lashes at the corner added a little Je ne sais quoi. I used a powder brush to lightly wipe away any fall out on my cheeks and I spent the rest of the day raising my eyebrows up and giving myself sidelong glances in the mirror, admiring my eyes. I had this on for over 8 hours and get this, without a primer, it didn't crease one single bit. That's unheard of for a big oily lidded bridie like myself. €26 is the damage but for something so special, it's worth it. Joanne's going on holidays this Thursday and doesn't know it yet, but shall be picking me up another shade as a present. Isn't she so nice? Lads, get yourselves down to your local Giorgio Armani counter and swatch this and I defy you not to fall in The Love with it. 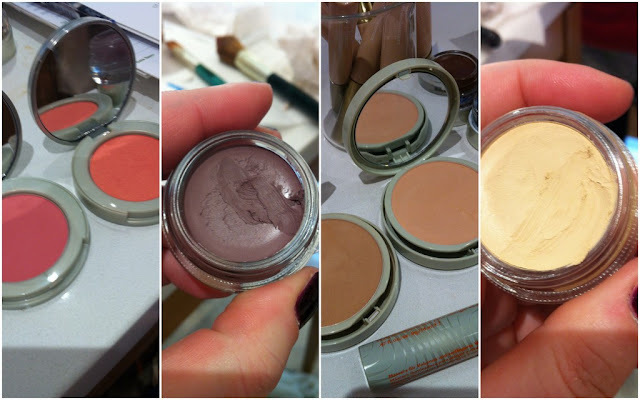 And get yourself shade matched for the Maestro Skin Perfector there while you're at it. I'm all about the multitasking. What shade should I try next? I'm thinking shade 27 or shade 28? Ah, hands up if So...? was one of the first scents you ever owned? And I realise that by asking that question, we're telling a lot about our age... In order to combat feeling like an aul bridie, I jumped at the chance to review four new scents from So Fragrance and take a little trip down memory lane. When I was younger and more naive and had no idea that many years down the road I'd still be collecting perfumes like I am. I thought I was so cool going into the local pharmacy and coming out with a new scent like Exclamation!, Charlie Red, or So...? They were the height of sophistication back then and everyone wanted to be the first to have the new scent! The latest range from the So...? fragrance brand is the Rock and Roll range. Perfectly priced at €3.99, young girls can start off their perfume collections easily. So...? Daring comes in the red packaging and is light and sweet thanks to the grapefruit, blackcurrant, cedar wood and jasmine. I'm not a big fan of grapefruit in scents but thankfully I can't smell any in it. The blackcurrant is first and foremost what I smell and the slight woodiness underneath that makes sure it's not too sweet. So...? For Me? comes in the green bottle and has strawberry, honey and almond mixed together to create this scent that transports me back to when I was a teenager again! I can't pinpoint any of the three ingredients I mentioned above but it has that familiar powdery scent that first got me into perfumes back in the day. So...? In Love has the pink packaging and I knew even before smelling it that it would be really sweet and fruity! It's made up of orange, rose and sandalwood but again, I can't pinpoint any of those myself. If I was to describe it without seeing any of the ingredients, I'd have said it had some kind of berry in it as opposed to it being citrussy or floral. It's definitely on the sweeter end of the spectrum. So...? Fab is easily my favourite of the four scents. Containing notes of bergamot, jasmine, praline and musk, it smells soft and powdery. I can smell the praline and I'd describe it as having some vanilla there too. I have two young cousins that these will be going to as I pass the torch on to them like the Perfume Olympics. Every girl need to start her perfume collection somewhere! There's an Irish website coming soon so until then, check out the So Fragrance Ireland Facebook page to keep up to date on everything. Another mad week so it was and I'd barely any time to catch up on my favourite blogs but of course I found time to see what inspired me, made me go ooh and made me want to buy stuff! Siun over at Trickling Beauty has fantastic taste when it comes to jewellery and you'll see what I mean here. Bargaintastic and she's great at putting pieces with clothes to make them look even better. Teach me your ways Siun! I found this blog, The Swatchaholic, this week and have been transfixed by the gorgeous swatches and sheer amazingness of her photos. 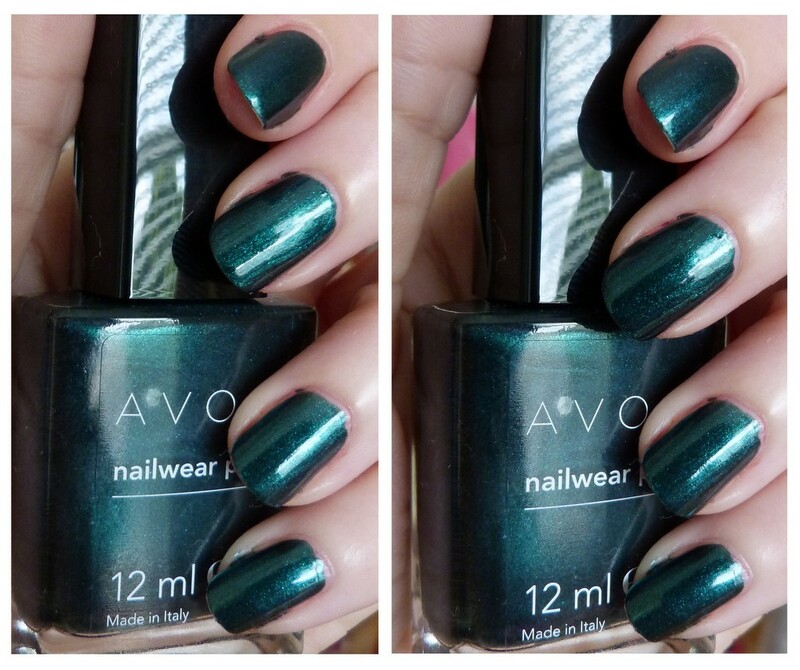 I just had to go click on this link again to admire the glitter in this polish and I defy you not to get sucked in yourself! I know this next post was back in May but just look at it...... STUNNING! Everyone knows I love an aul gadget and when I saw this product, Liquid Palasade over on British Beauty Blogger, I immediately added it to my list of things to watch out for. Even better that it's for nail art! Nice spotting Jane! 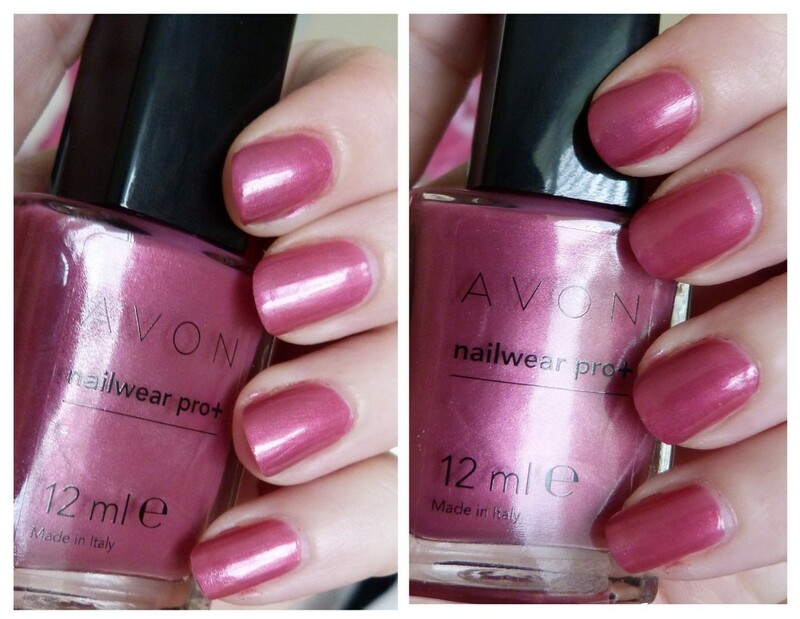 Ah Scrangie, here you go again making me want more polishes. This time it's the Spicy Dream Collection from Jessica and where I'm not a fan of the last polish which kind of looks like poo, the first three have my name all over them! 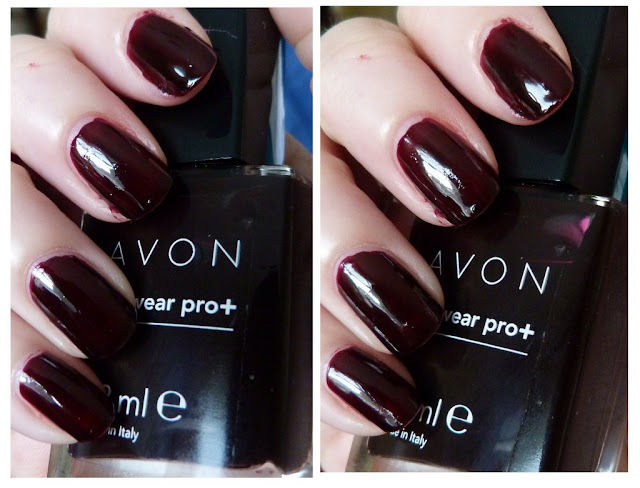 I love autumnal colours on the nails. Bring it on Jessica! Cindy knows I've been having problems in the eye make up remover department and has found a really cheap and cheerful one for me to try and it doesn't sting! 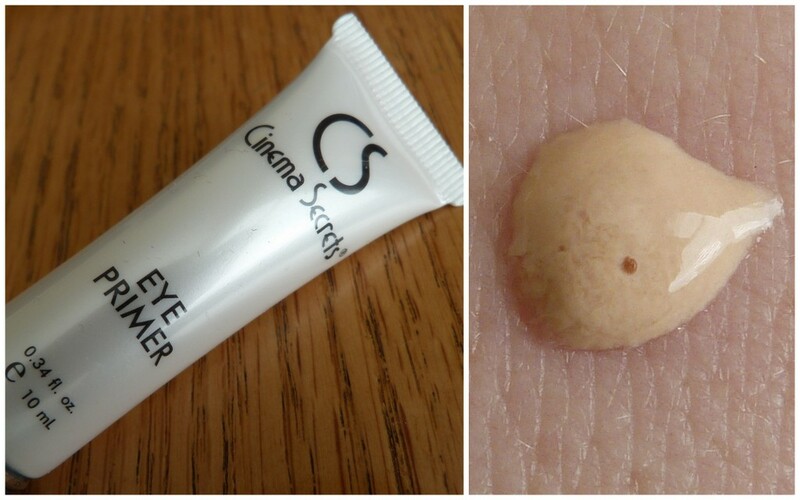 I can't wait to head to my chemist and pick this baby up to try it out with my sensitive eyeballs. Thanks Cindy! Have a good week everyone! I've a busy one ahead myself so will be spending today trying to get organised for it. It's so hard because it's so sunny! Maybe I'll mosey into town for a bit and get colour matched for the new Giorgio Armani foundation that I had a squizz at last week? More on that this week. There's very little that pleases me more than coming across new make up brands and recently I went to a show and tell to see what make up brand Cinema Secrets have in store for us. I'll be honest and tell you that I'd never heard of the brand, but that's never stopped me being nosy! The brand has a huge variety of products not just for the regular make up lover like us, but also for professionals. They've a huge range of special effects make up and latex things you can stick to your face at Halloween and as cool as they were, I wanted to see the products that I would be able to use myself! They gave us some products to try and I've a few to show you here and a few coming up in features very soon. 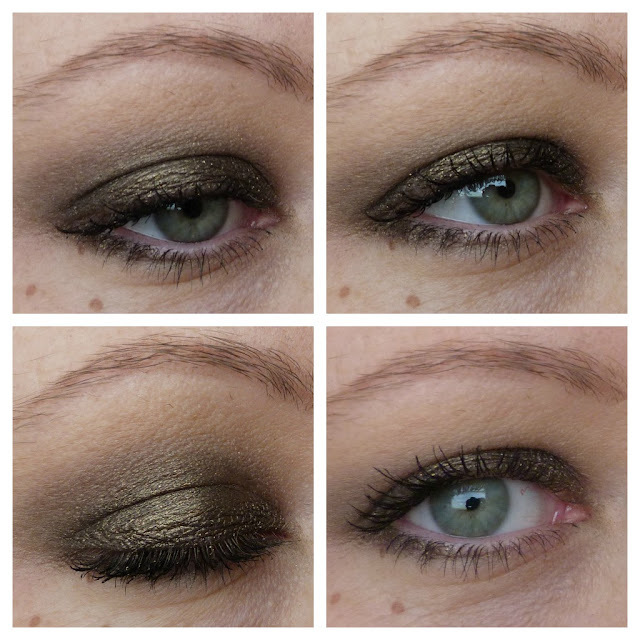 I was eager to try out the eye primer as I'm nearly at the end of my Two Faced Shadow Insurance. This one is more on the liquid side and you need only the barest amount. I've been testing it out and can let you know that it is fantastic. I have to wear primers with all shadows as I've big oily eyelids and can firmly say that this did not crease one single bit! I applied it at 7am and at 6pm, my shadow was still looking brand new and not a crease to be seen. 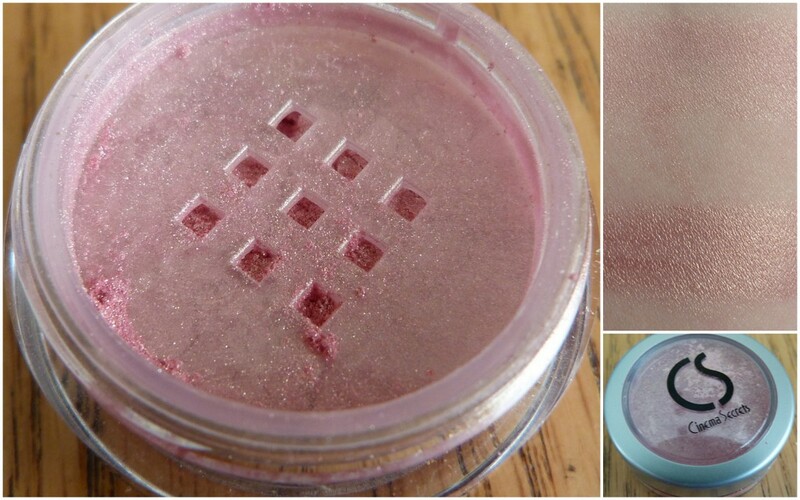 Next we have the Hollywood Lights Shimmer in the shade Flamingo Gold. This mineral powder can be used in lots of ways; on the eyes, mixed in with gloss, or as an all over shimmer. You can see from the swatches below that it's a lot more sheer when applied dry (top) and you can pack on the colour when you wet the brush (bottom), allowing the gold and pink to work well together. I decided to play it safe and apply this wet to my lids as a shadow. Oh lads it's gorgeous. It kind of reminds me of MAC's Paradisco shadow and I love how it changes from pink to gold depending on the light. 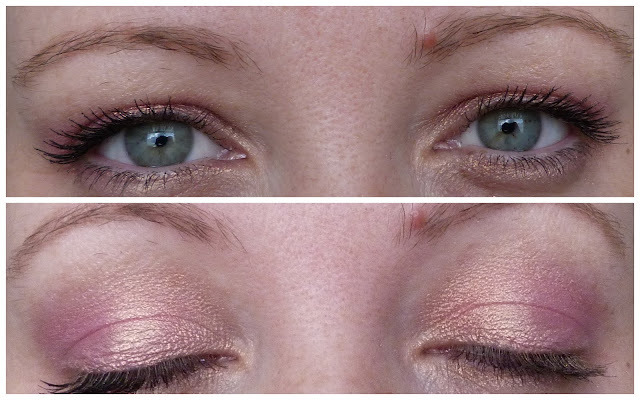 I'm usually afraid to wear pinks on the eyes but the gold shimmer takes away the scariness and I even wore this to work yesterday! The Professional Brush Cleaner is up next and it's the only thing I'm unsure about. Now, let me start by saying that it knocks the socks off MAC's brush cleanser in the cleaning department. If I pour a little bit of it into a lid and dip the tip of my brush into it, the cleaner is immediately sucked up by the bristles of the brush and a couple of swirls on a paper towel or cloth and my brush is absolutely spotless. Seriously, I've had stains on some of my MAC 217s for ages and multiple shampooing didn't get rid of them. In about five seconds, this stuff took care of it. So yes, it cleans brushes like nothing else I've tried. But here's the thing. It has a vanilla scent that is barely masking the smell of turpentine. I got a list of the ingredients and can't say half of the words but there are traces of some really strong cleaning solutions in it and I know, sure that's what cleans the brush Karen! But it's the smell of turps that turns me off. I'm sure this is what would work to remove cream products from brushes or special effect things but I just wanted you to be aware of this. That being said, I've used about half of my bottle so far and my brushes still feel perfect and don't feel dried out. I just don't know if I'd buy it myself. Leave it with me and I'll keep you posted in a few weeks. 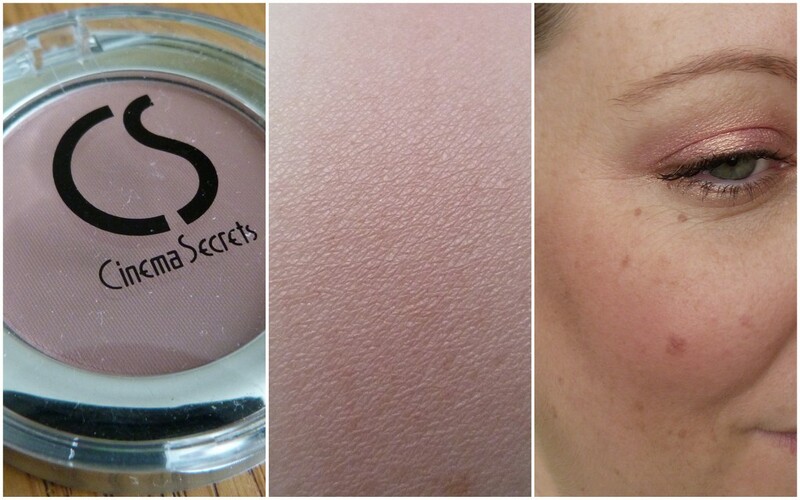 Last on my list of things to show you is the Ultimate Blush in the shade Natural. 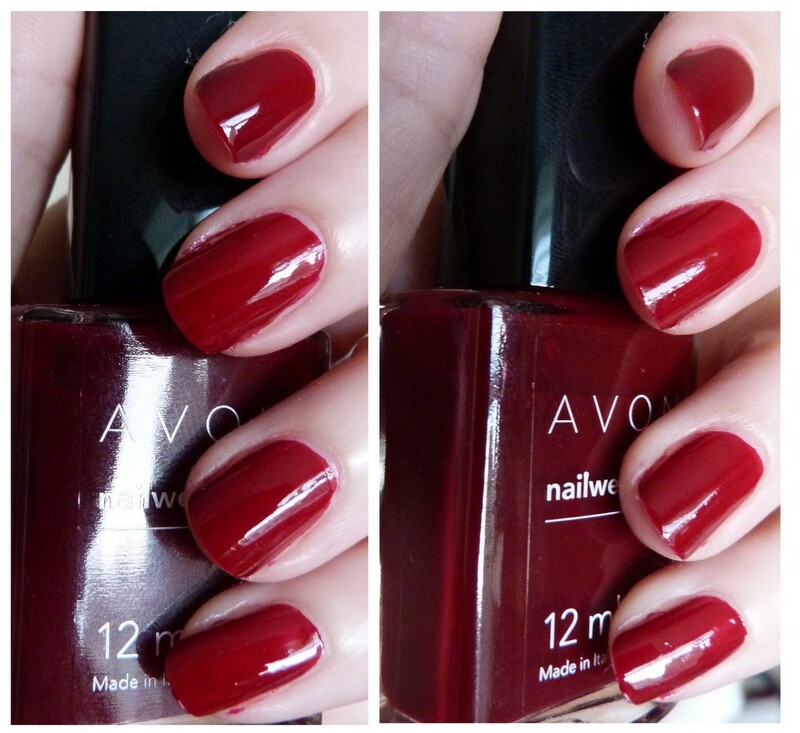 It's soft and velvety and blends like a dream. This shade does what it says on the tin. 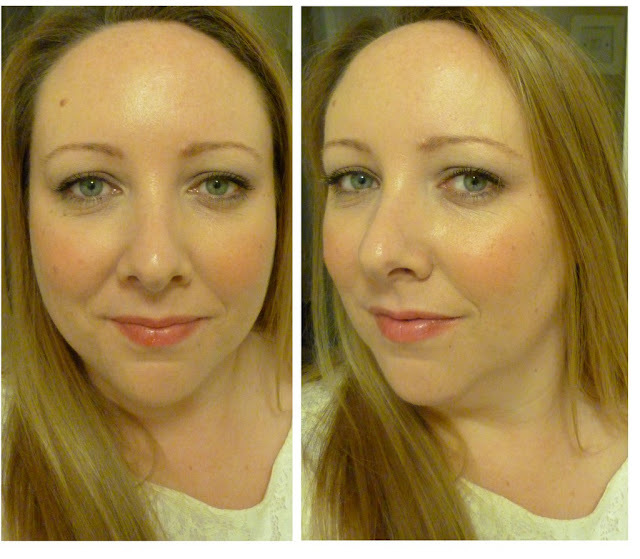 It gives me a natural flush of colour on my cheeks and gives a very slight glow. 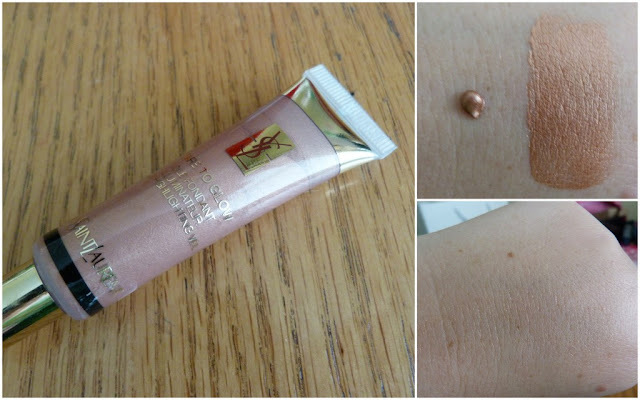 I've loved wearing it since getting it and it has been a favourite in my make up bag. You can order any of the products above from the Cinema Secrets website here or learn more about the brand and see lots of the products in action here on the Facebook page. Have you tried anything from Cinema Secrets? Now, highlighters and I have a bit of a weird relationship. But even so, I've managed to collect lots of them over the years. But don't wear them. I find some too pearly, too glittery, not the right shade for my skin tone and the list goes on. The Dare To Glow Silky Highlighting Veil arrived earlier this week and The Fear set in again. I swatched it on my hand as you can see below and The Fear increased. 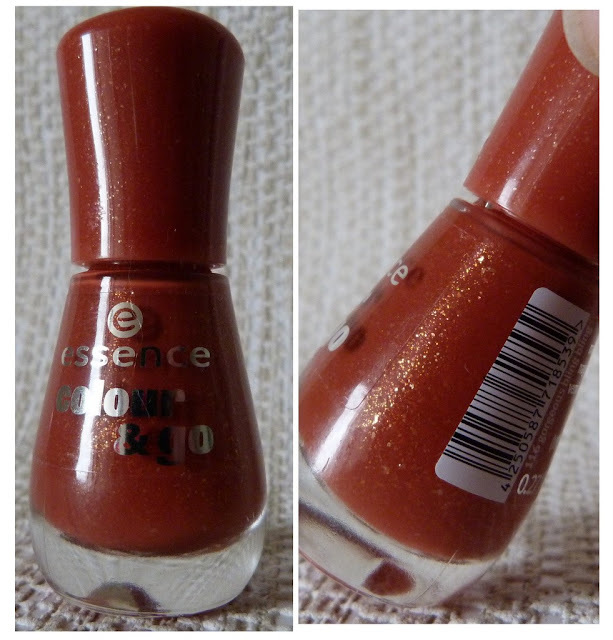 The shade Fatal Red (strange name for something that's not red) looked to be really metallic and warm on my hand but once blended properly, left my hand illuminated and radiant. The Fear subsided. Phew. Let me explain The Fear to you. I am a lady of a certain age that we shall not discuss.... Suffice to say that earlier in the week I was talking to one of the girls at work about who had the ugliest Debs dress and she said to me "Sure wasn't your Debs in the 80s".... My face said it all. Her face went purple and she hastily apologised and we had a good laugh, so while I'm not quite that old, I'm old enough to know I can't be going around looking like a disco ball. I also don't want shiny stuff highlighting my laugh lines or any other lines on my visage. So I took YSL up on their challenge. I dared to glow. I'm a rebel like that. And how did I get on? Look for yourself. Those fine lines under my eyes? They're laugh lines yo! I've been using the Contour Brush from Real Techniques to apply Fatal Red over my cheekbones and had to take some photos in diffused sunlight to show you the finish. It blends beautifully into the skin leaving both a hint of colour and shimmer. I've worn this to work every day this week and I am in The Love. The Actual Love. For the past few weeks I've been exhausted and barely leave myself time to apply foundation, eyebrows and mascara but I have taken those extra couple of minutes to apply this and it's totally worth being a couple minutes late! I've played with it down the centre of my nose and bring a little across my forehead and cupids bow and even dabbed some on my lips as you can see below. It's subtle enough to not be obvious that you're wearing highlighter but obvious enough for people to see you've a gorgeous glow about you. 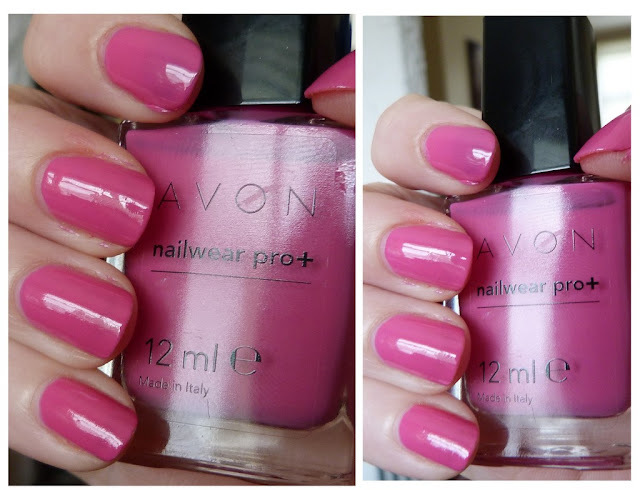 Dare To Glow comes in three shades, Tempting Gold which is warm and golden, Fatal Red which is this one and Naughty Pink which is cooler. I love the concept behind the Contemporary Amazon range from YSL which focuses on mixing the matte with the luminous for your complexion. Sounds like a match made in heaven! The Contemporary Amazon range will be available early September and I urge you to go visit it and let me know if you Dare to Glow.